25/10/2009 · New to the forum here so thanks in advance for you help! I am looking at building a retaining wall using ecowood sleepers and steel U/H beam supports, the question is should I get them galvanised or just use the black steel, the guy suggested that raw steel will still last a while, are cheaper and give you that "rusted steel look"... This wall will be between 12 and 18 inches tall, 20 feet long, with right angle returns on either side to allow me to level the soil in my front yard. Different Types. Not all retaining walls are created equal. A variety of styles and materials exist to handle different types of challenges. 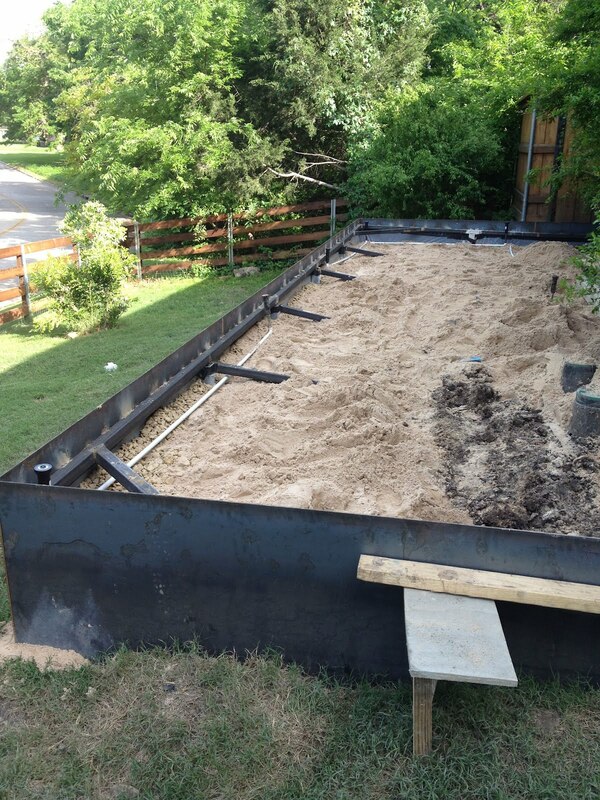 For instance, the retaining wall might be made from stone, brick, steel…... How To Build A Step Up On A Retaining Wall Steel Carports With Built In Storage Shed Storage Sheds Direct Storage Sheds Layton Utah Foundation Kit For Storage Shed Secondly, concept . should be produced by a competent woodworking . Hi, I would like to build a small retaining wall on either side of my driveway around the metal drainage pipe. Is there anything I should be aware of with this project, or is it just a straight forward retaining wall …... Our company Melbourne Retaining Walls has specialized in design and construction of retaining walls for several years in the Melbourne and Geelong suburbs hence we’ve done a lot of sourcing to find the best quality and value steel post materials to build our retaining walls. This wall will be between 12 and 18 inches tall, 20 feet long, with right angle returns on either side to allow me to level the soil in my front yard. Steel Rebar; Shorthand for “reinforcing bar,” rebar works as a tension device to keep reinforced concrete structures strong and in place. Consult your local planning department for what sizes will work best for your particular project. AbilityRetain is a modular Corten Steel retaining wall system that allows you to quickly install retaining walls in your garden. 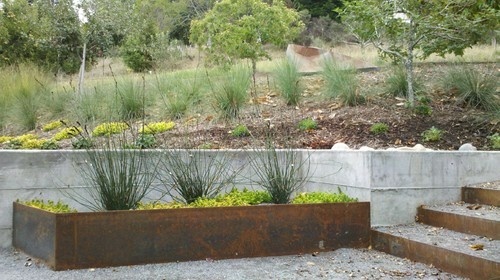 The panels even come pre-rusted so that you don’t have to wait the 6 to 8 weeks for the rusty look that comes with other corten retaining wall/edging systems.